Roby Zumwalt, left, and Nancy Dunn sign in to vote this morning in the primary election at the Eddy County Clerk’s Office. All Artesians are encouraged to vote today and help decide the general election ballot. Today’s primary election will itself decide the District 54 State Representative seat for members of the Republican Party. 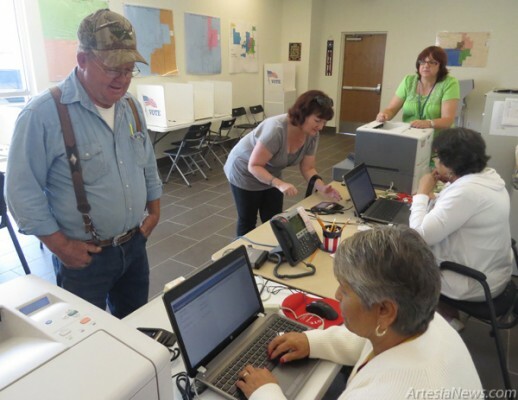 All voters, regardless of party, may vote at any of the three following locations: the Eddy County Clerk’s Office, 602 S. First St.; the Senior Center, 202 W. Chisum Ave.; and Faith Baptist Church, 401 S. 20th St. 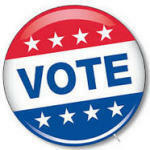 Polls will be open until 7 p.m. today.